As we age we lose some of the tissue that is normally present, which gives volume and structure to our face. Dermal fillers are therefore mainly used to treat volume loss in the face but can be used to fill in deeper wrinkles, scars and lines. It is best to decide in consultation with the doctor the best choice for you. Your individual characteristics will also influence the choice of the product. Generally fillers will last longer than wrinkle relaxers and will be in the time frame between 6-18 months from the treatment date. 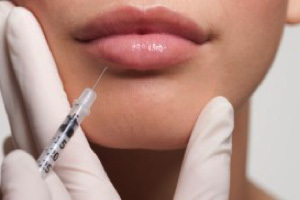 Filler procedures are always done with in conjunction with anaesthetic (numbing) cream or injections. This virtually eliminates pain from the procedures. The results are almost instantaneous and you can guide treatment as you can see the progress of treatments. This gives you complete control over the procedure. Any area that is lacking in volume can be treated with fillers, common areas treated are: the mid-face for structural integrity, naso-labial lines (lines around the lips) the lips for volume loss and chin and the nose for facial asymmetry. Yes. If you are not happy with the results the procedure can be instantaneously reversed with an injection. Please note that every procedure caries potential side effects and these are best discussed with your doctor at the time of your consultation.